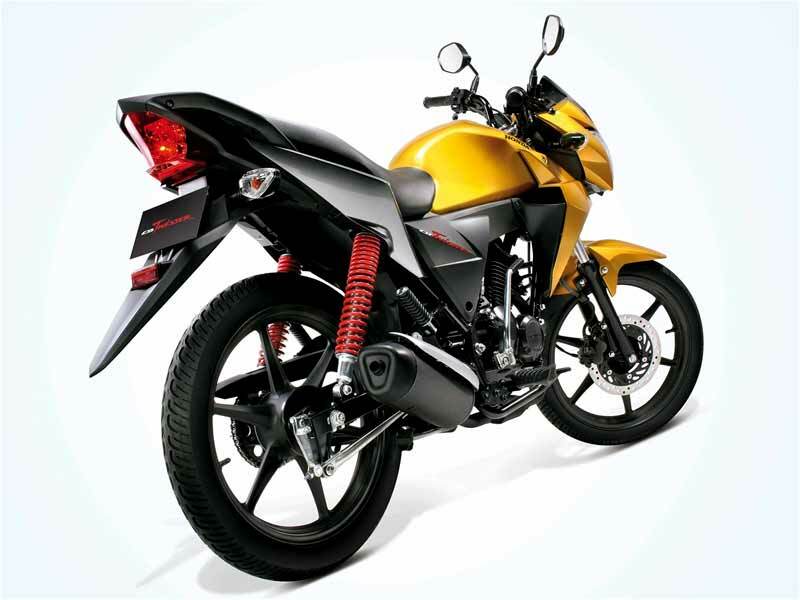 The new Honda CB Twister is a wonderful bike packed with new age features and matchless performance. Read the review to get the features, price & technical specification. 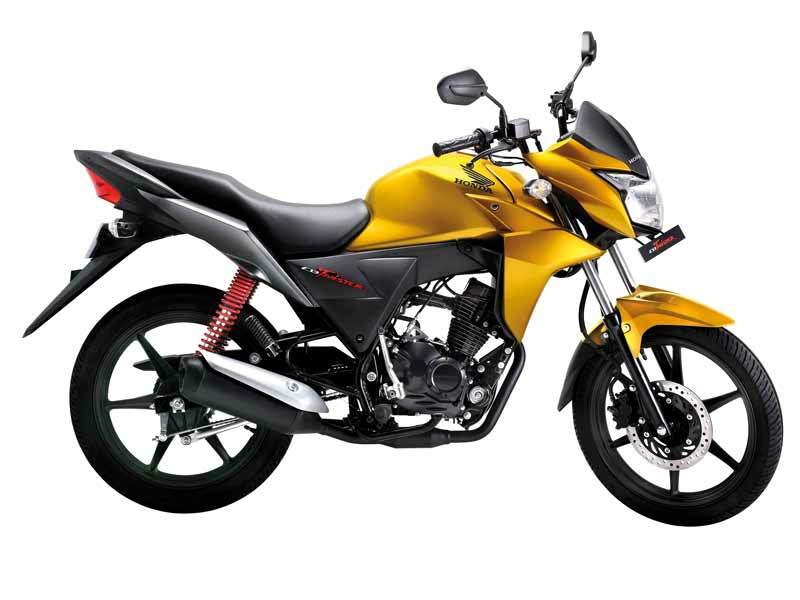 The newly launched Honda CB Twister is an amazing bike packed with the contemporary eye candy features looking alike the much popular CBF Stunner. Taking its cues from CBF Stunner, the bike looks awesome further declared by the aggressive fuel tank derived from Stunner. This 110 cc bike is sure to sweep its rivals with the affordable price and awe-struck look. The red shock absorbers at the rear are definitely a treat for the eyes and the attractive headlight is in sync with the stylish air scoops. The Honda CB Twister boasts of some of the first timers as a 110cc bike in the country. It features six spoke alloys, front disc brake, stylish short exhaust, split grab rails, open chain and unmatched paint work. The bike is available in three variants of kick drum, self drum and self disc. The new CB Twister is a bike which would win the hearts of many bike boys coupled with the pocket friendly price and wonderful look. Honda CB Twister employs 110cc engine which can produce a maximum power of 9 BHP at 8000 rpm when the maximum torque stands at 9 Nm at 6000 rpm. It runs on the four speed manual transmission. It is an air cooling 4 stroke single cylinder engine. On the count of design and looks, the bike stands to overshadow its contestants with its stunning looks which would leave anyone impressed to possess one for himself. The front cowl sans screen accentuates the aesthetic aspect. The new age instrument panel with the muscular tank ranges out an idiot-proof look of the bike. The well carved out sporty wheels equipped with the front disc brake are just beyond all comparisons. The tubeless tyres are the welcome feature in this bike unlike its competitors. It sports a viscous air filter and provides a hassle free ride. The half open chain case gives an aggressive look of the bike and infuses us the right attitude to ride in style. The short mid muffler is rightly designed to match with its sharp rear look. The new CB Twister is the perfect combination of modern style and matchless performance with economy. Honda CB Twiter is aerodynamically designed and the floating side cowl gives the riders the ultimate adrenaline rush. The bike offers a smooth ride with a mileage of 70kmpl. The tubeless tyres are of better performance and cornering ability. The bike is equipped with maintenance free battery and viscous air filter for more convenience and this makes the bike one of the most environment-friendly. The front disc brake or the drum one performs very well in every condition. The halogen headlamp is of great help for the night ride. The front and rear suspensions lend a very comfortable ride with the appropriate ratio of kerb weight, wheelbase and performance. The new Honda CB Twiter is the right bike for the young die-hards to ride in style, confidence, performance and economy. 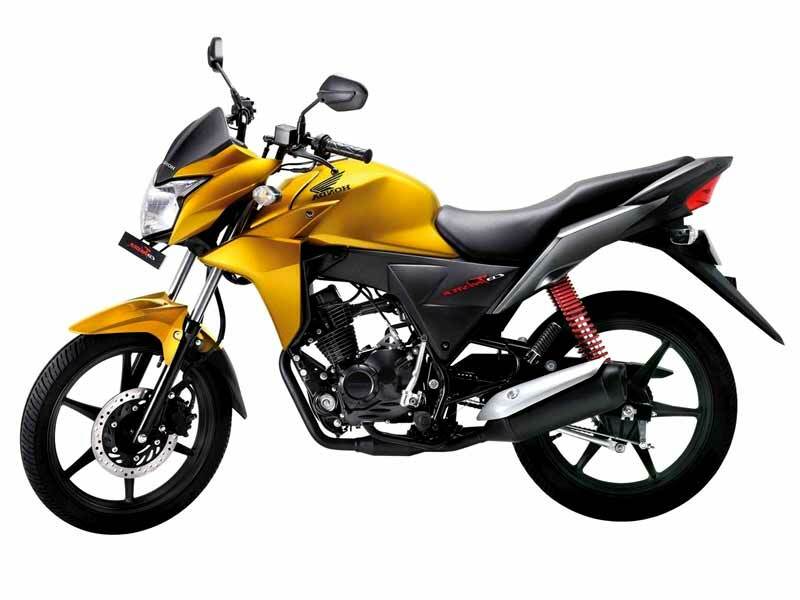 Promising to deliver a comfortable and smooth ride with stylish looks, Honda CB Twister delivers an average of 60-62 kmpl. The Honda CB Twister has been launched with the tentative price of Rs. 42000.00 (Ex-Showroom New Delhi). The bike is available in 5 different shades: Pearl Nightstar Black, Pearl Fuji Blue, Pearl Amble Yellow, Candy Sonic Green and Pearl Siena Red.